The program ended 43 years ago Bill! Yes the Chrysler Turbine Program has been over for quite a while and when the turbine program was in progress, a young man named Bill Carry who was recently hired by Chrysler Motors Corporation had an important job. Chrysler Motors Corporation was the service arm of Chrysler Corporation at that time and while the engineering department assembled the cars and built the engines, it was Bill's group who were there to make sure that the cars were kept running and the users were kept happy. Bill's first big job was to put the whole service and delivery part of the program together. Bill probably had one of the most interesting and demanding jobs in the auto industry. 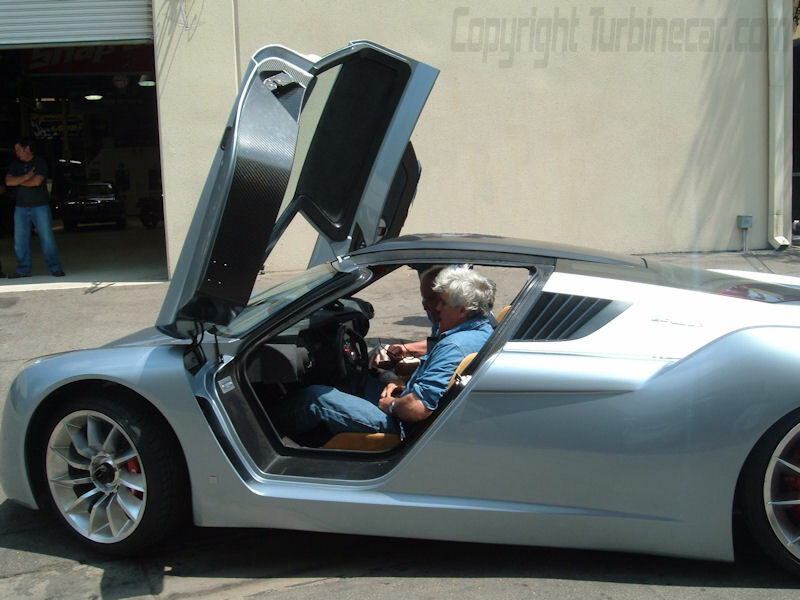 He also has more miles behind the wheel of a turbine powered auto than anyone alive ever, He was responsible for training a small group of selected technicians on how to service Chrysler's Turbine cars. Part of that job meant writing a service manual, developing a training program and working with those technicians in un-charted water of a totally new technology. Documentng every problem and issue with the cars was a huge task. Management demanded reams of reports on every aspect of the program. 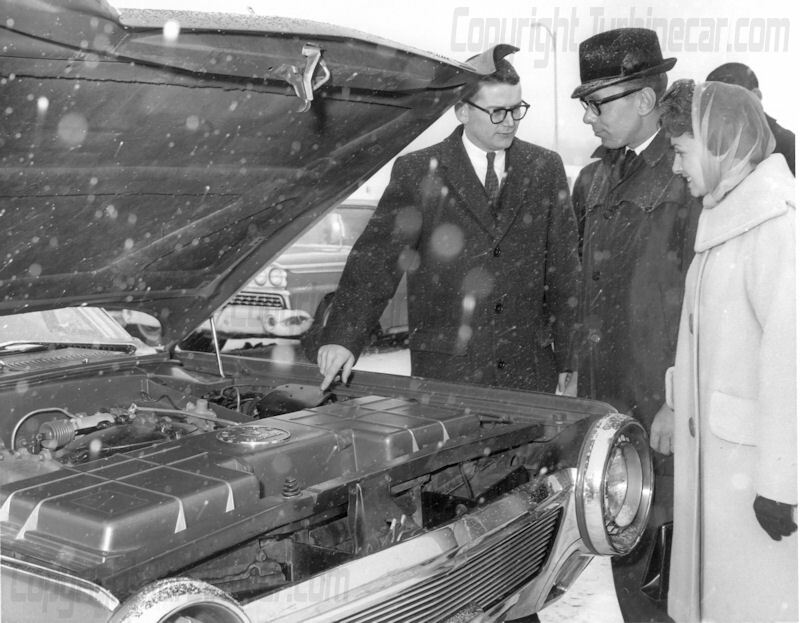 Below is a photo of one of the first deliveries of a turbine car to a user, this was in the winter, it was cold and Bill was in his 20's. 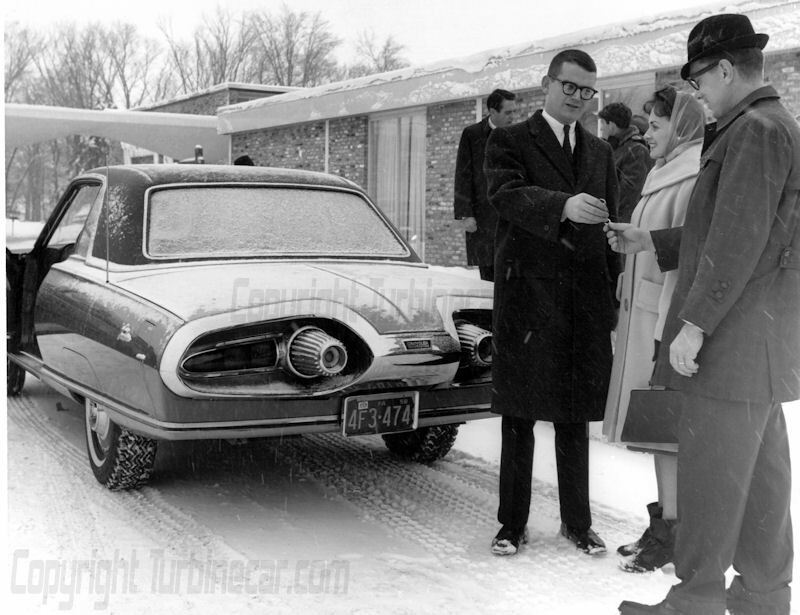 That is Bill facing the camera handing the keys to a happy user and his wife sometime 45 plus years ago. While Bill did not take this active of a part in all the 203 deliveries directly he prepped most of the cars before they were sent out to the first user. 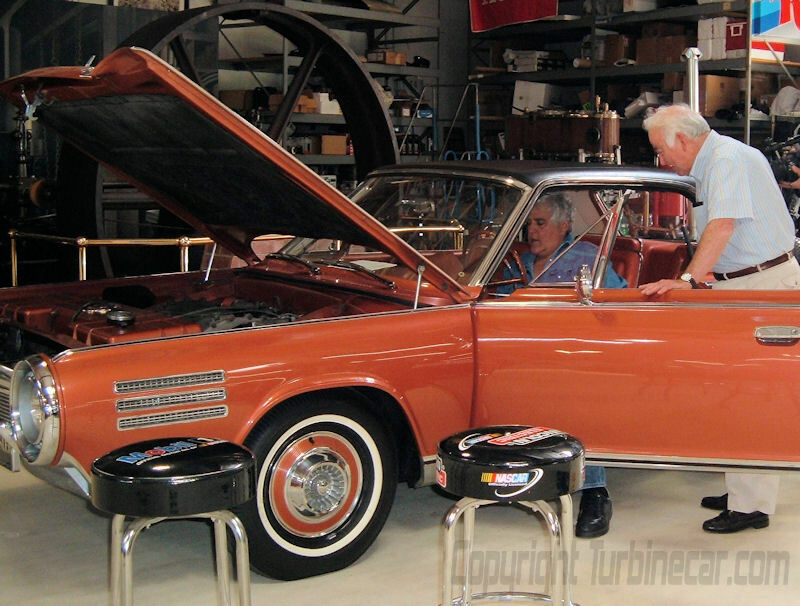 Bill also made sure that the Chrysler Turbine program would be a success. When he was not driving the turbine cars or working on them, he was promoting the program in any way possible. 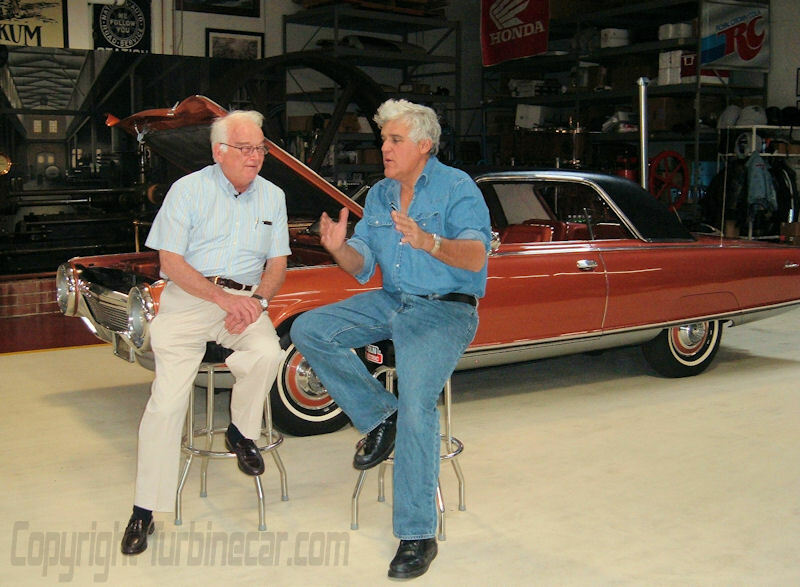 It was in sunny California and Bill did not need to hand the keys over to Jay in front of news cameras but he did go over a lot of the same things related to the car with Jay and Jay's crew that he would have back in the 60's. 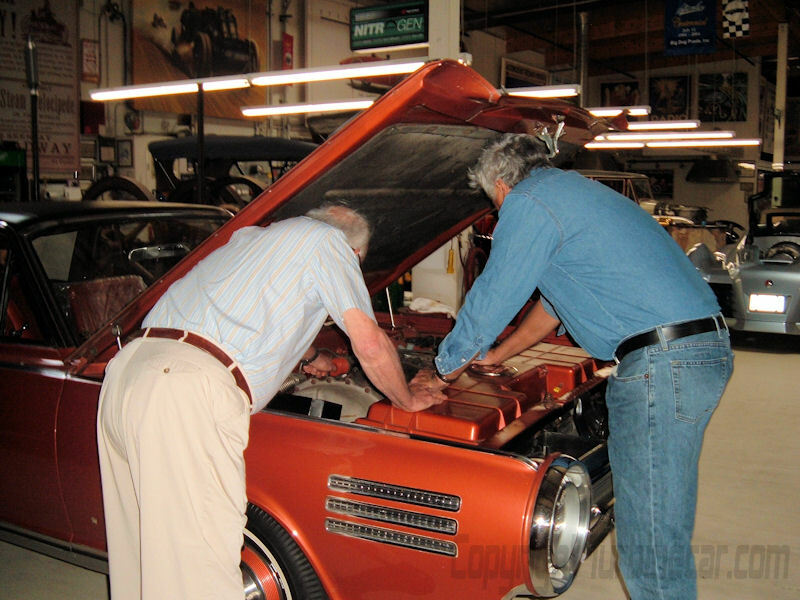 Bill shows Jay the operating features of the Chrysler Turbine car. Compare the photo below from Bill's earlier delivery to the one above. The hood was almost always up when the car was not driving and someone was pointing at something. Back during the program, users were given a three month "loaner" Jay's "keeper" is going to be driven and maintained to the highest standards, Bill is quite proud to help this last delivery. 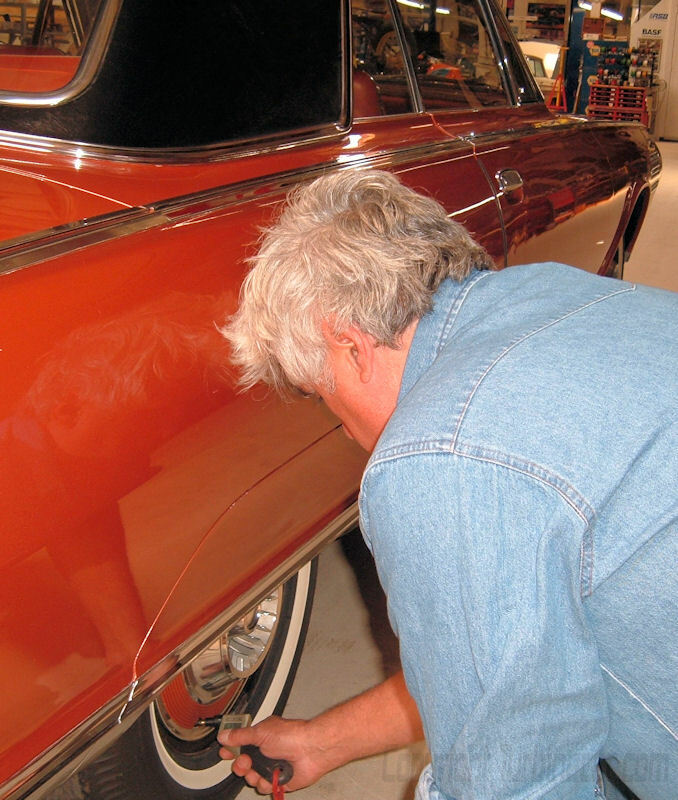 Jay is removing the Chrysler plate here to install his own California legal plate. Jay is not really new to this whole turbine powered car thing, he even built his own turbine powered car before he got his Chrysler to drive. 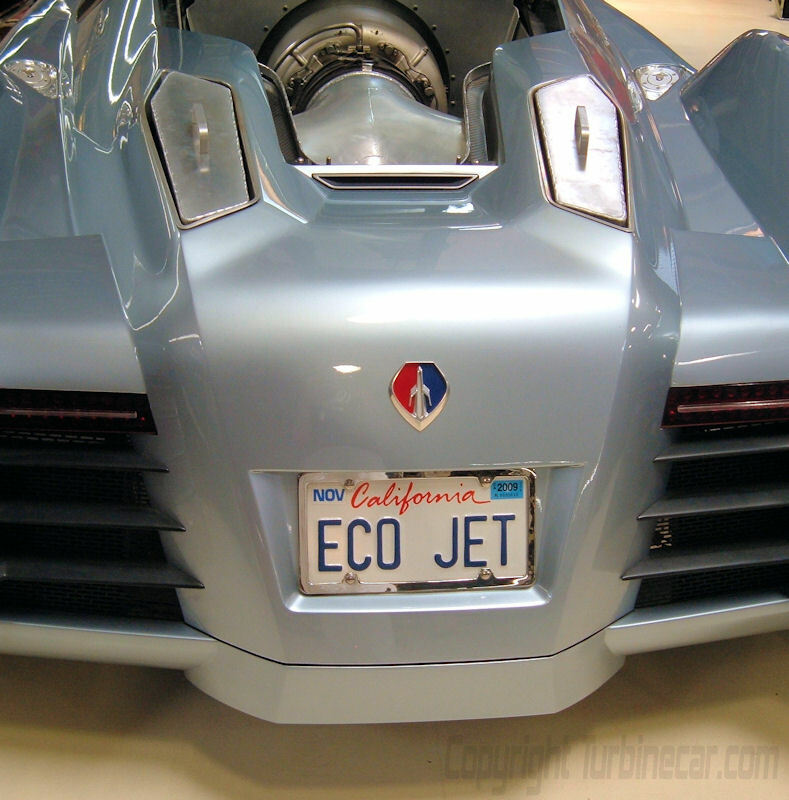 You can read all about the Eco-Jet at Jay's web-site. So Jay got a dream fulfilled that he has had for years and Bill Carry got to make one more delivery. Keep an eye on Jay's web-site for future information on his new car, I know it has been in at least one local car show on the 28th of June and I expect Jay will bring it to more. Note, all the above color photos were taken by Bill's wife, Mary, who was with him and I thank her very much for the use of them here. The two black and white delivery photos are from the collection of Bill Carry. Click Here to return to Where are they now?